Support alert! 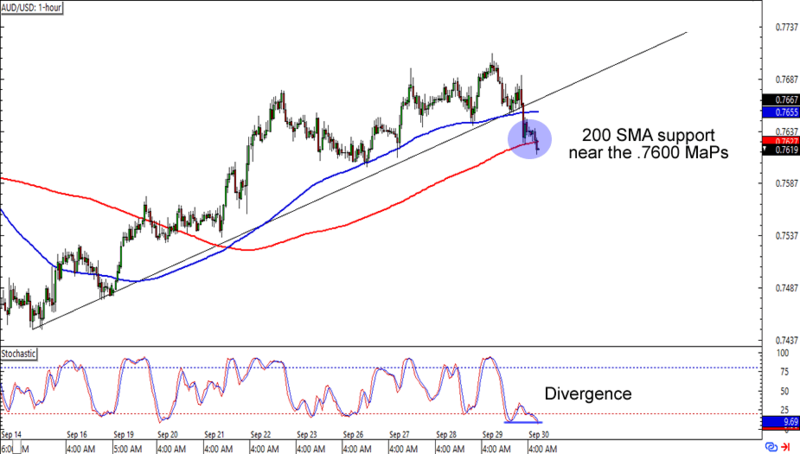 AUD/USD has broken below a rising trend line but is having trouble getting enough momentum to break below the 200 SMA on the 1-hour time frame. This isn’t surprising since the area lines up with the .7600 major psychological handle. What’s more, stochastic is suggesting a possible bullish divergence in the making. Think the Aussie is in for more gains? Or will the bears step in to extend the downside break? Watch this one closely, folks! Here’s one for the trend traders out there! NZD/JPY looks like it’s finding support at the 73.00 major psychological handle, which is right smack at a rising channel support on the 1-hour time frame. 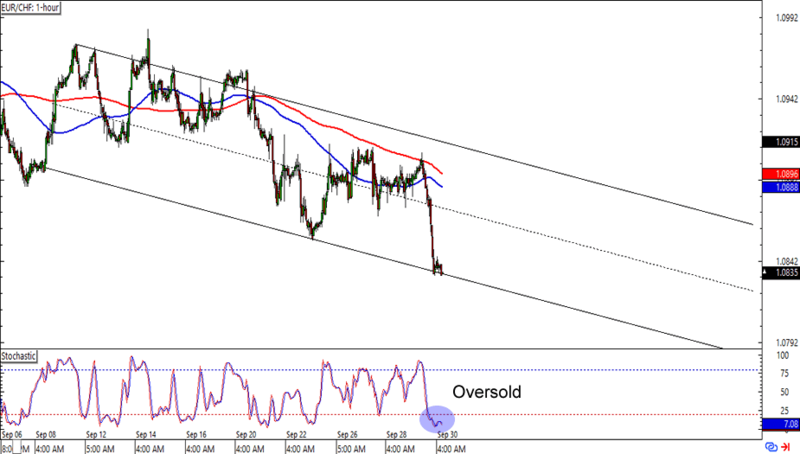 Not only that, but stochastic has also just left the oversold territory. 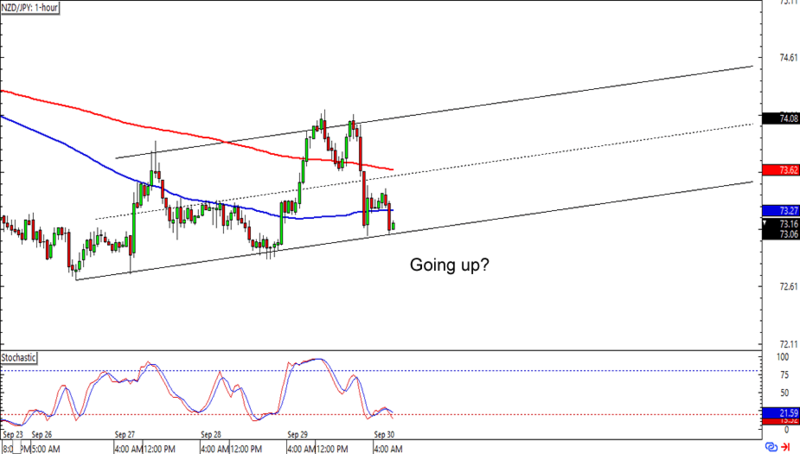 Buying at current levels could get you a least 150 pips especially if you aim for the top of the channel. Just make sure you place a wide enough stop to cover the volatility of a yen cross! Countertrend traders huddle up! EUR/CHF looks like it’s finding support around the 1.0850 area, which lines up with a falling channel support on the 1-hour time frame. Not only that, but stochastic is also flashing an oversold signal. Placing long trades at current prices could get you a good enough reward-to-risk ratio especially if you place your stops just below the channel. Countertrend trading isn’t for everyone though. There’s no harm in staying in the sidelines if trades like these aren’t your cup of tea!